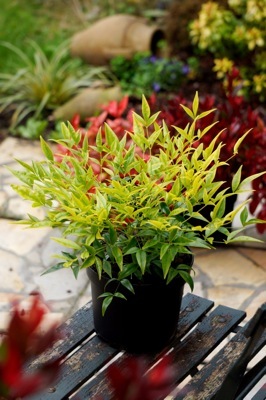 Nandina Brightlight won a Golden Medal at the GrootGroenPlus horticultural fair in The Netherlands. The judges described this new variety as very ‘handsome’ and ‘innovative’. 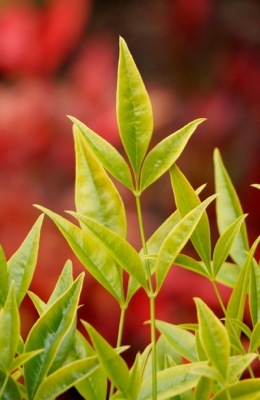 They praised its foliage colour and shape. A true winner! Brightlight features radiant, chartreuse foliage. A sunny appearance that will brighten up your garden! 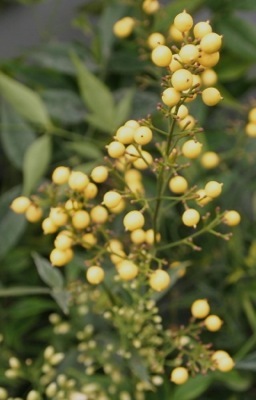 This variety was also selected for its elegant leave shape. 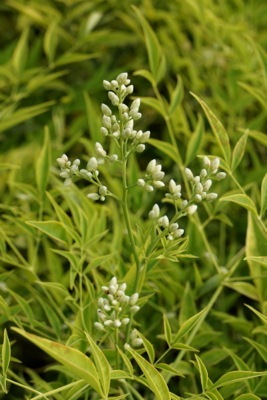 You will notice that it has longer and more slender leaves than other Nandina varieties. In summer, white flowers will appear. Brightlight has a distinctive, upright growth habit. Some people say it resembles a compact palm tree! This beauty offers more than good looks though! 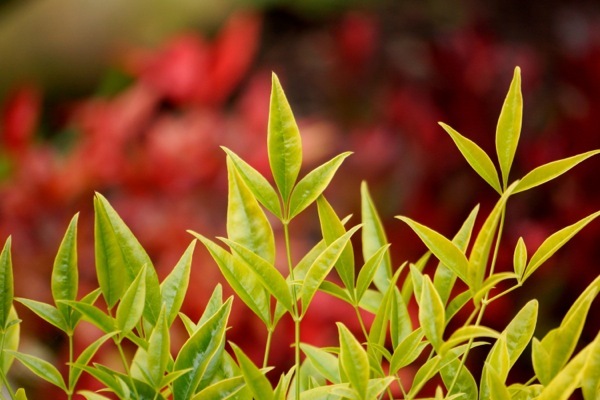 Brightlight stands out for its winter hardiness. It performs in very cold conditions up to USDA Zone 7a. 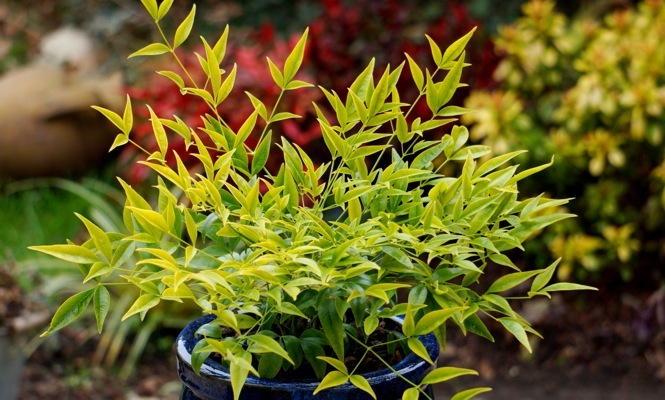 You’ll enjoy having Nandina, or also called “heavenly bamboo”, in your garden. It’s a trouble free, easy plant! 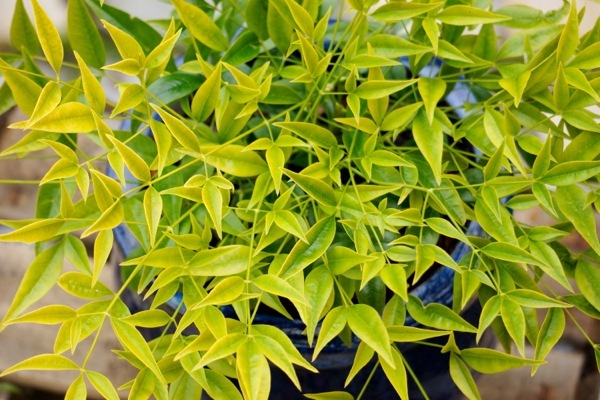 Brightlight prefers a fertile, moist and well-drained soil in a sunny spot. After 5 years, it reaches a height of 59" and a width of 20". 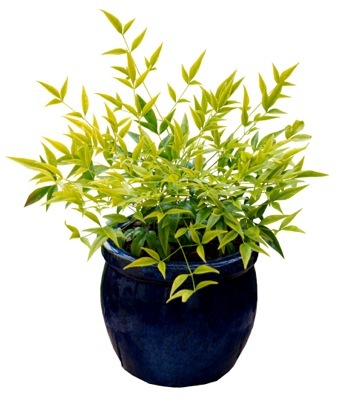 Excellent as a solitary on your balcony or terrace, in a shrub border, or as mass planting.